Lionel Messi won 2015 Ballon d’Or award which was his fifth in the career making him the only player in history of football to have achieve this feat. 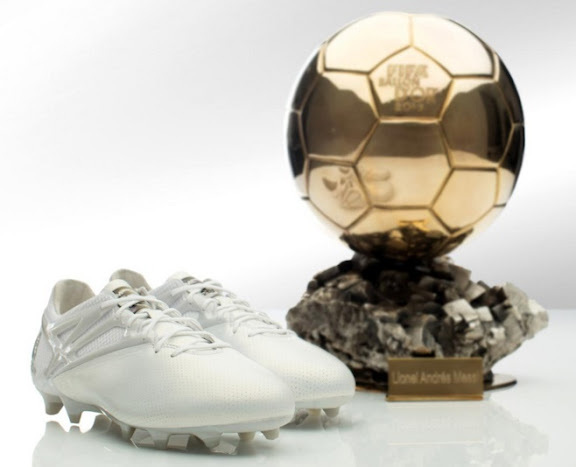 Adidas will be celebrating Messi’s 2015 Ballon d’Or success by launching all new “Messi 15 Platinum Edition” boot which was revealed Tuesday, 12 January 2016. Just after Lionel Messi was announced as the winner of 2015 Ballon d’Or award Adidas revealed all new Platium Edition of Messi 15.1 boot which commemorate his fifth Ballon d’Or award. The new Platinum Edition boot is based on the same technology as the normal “Messi 15.1” boot which was released back in May 2015. The difference of course is the design which comes in white as man colour and silver/gold application across the boot. 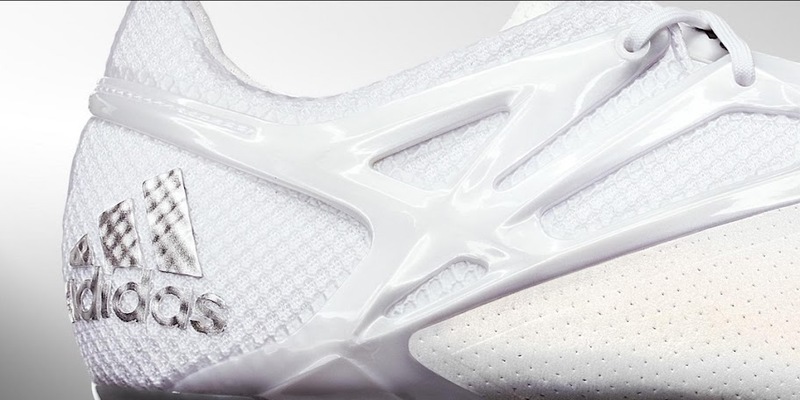 The logo of Messi10 features with a metalic finish followed by 5 historic dots on top of the heel representing Messi’s record haul of 5 Ballon d’Or awards. Adidas went a step further with by customizing the Platinum Edition with the text written in the inner sole of the boot which reads “El más grande de todos los tiempos” (THE GREATEST OF ALL TIMES). As far as the technology is concerned behind the Platinum Edition its pretty much the same as used in the regular edition of Messi 15.1 boot released last year. 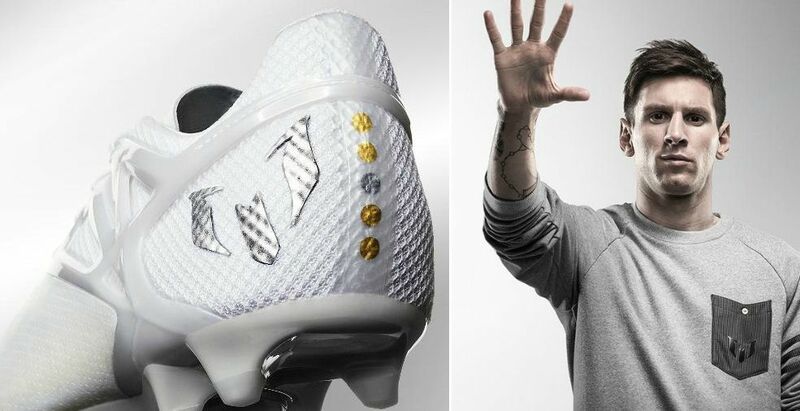 Only difference is the design and some of the elements like Adidas and Messi logos are made of real platinum. When they will be available ? Adidas confirmed that these boots are not available for sale and are only awarded to Lionel Messi for his historic 5th Ballon d’Or. But we can safely assume that Adidas will be revealing a little bit different version very soon as they have done in the past when Messi won his previous four player of the year awards.